The apartments are spacious with high quality interior furnishings and there is a beautiful reception area with a lounge with its fireplace. The bay windows surrounding the heated indoor pool and PAYOT® Ô Pure® Spa open out onto exceptional scenery. Kids have animations all summer long. And teenagers have their own private area, the Squ@t.
- NEW : Les Saisies Leasure Pass offered ! Located at an altitude of 1650m, this little piece of paradise offers a wide choice of leisure activities and equipment for a great Holiday. 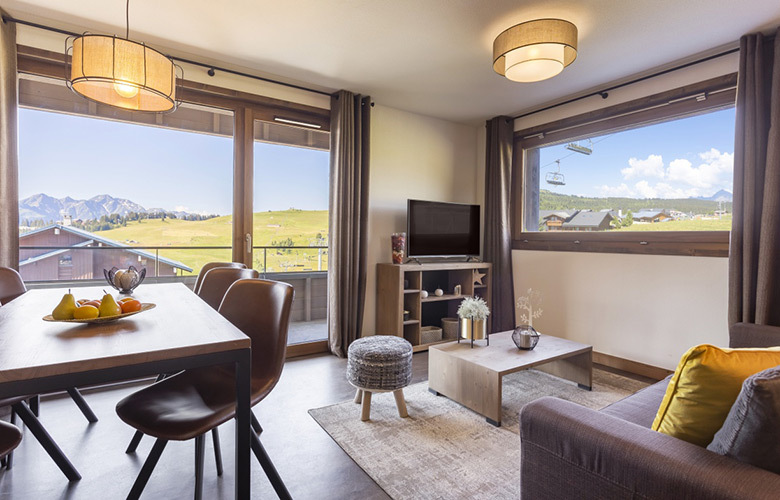 At the highest point of an authentic mountain village of human size, you will be immersed in the heart of Alpine landscapes thanks to a splendid panorama with 360° views! The Mont-Blanc, roof of Europe, will be facing you. To admire it, nothing beats the mountain bike, a flagship activity of Les Saisies, which is adapted to all levels and can be enjoyed in all its forms: ludo park, enduro, cross-country, electric ATV trails! The Signal is just 5 minutes away from the Residence and is a fabulous aquatic centre with a pool, well-being area, climbing wall, gym, squash court and even bowling! Walk around the ski resort and enjoy the fun and festive atmosphere. There's music, local cuisine and sports events organized each season. 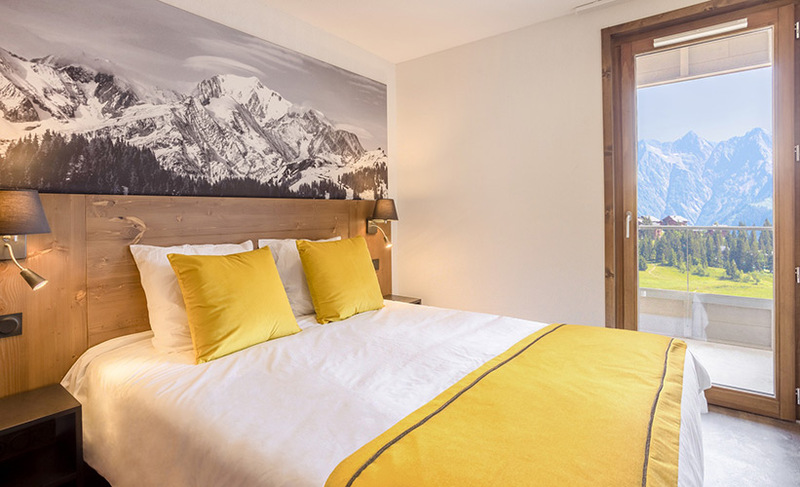 NEW : Les Saisies Leasure Pass offered ! 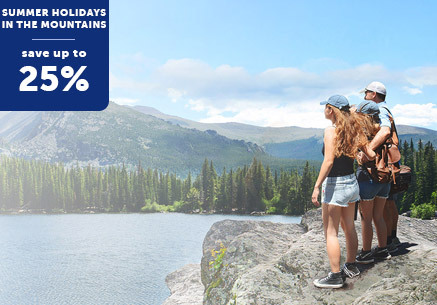 To enjoy a summer filled with fun activities, mmv offers you Les Saisies Leasure Pass! The great success of the resort ! For every rented apartment (at least a 7-night stay), 2 passports will be offered (1 adult + 1 child under 12).